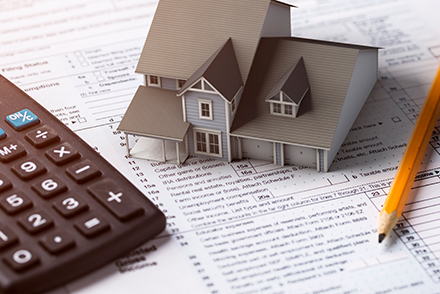 How much we save Kenosha clients on average at closing. 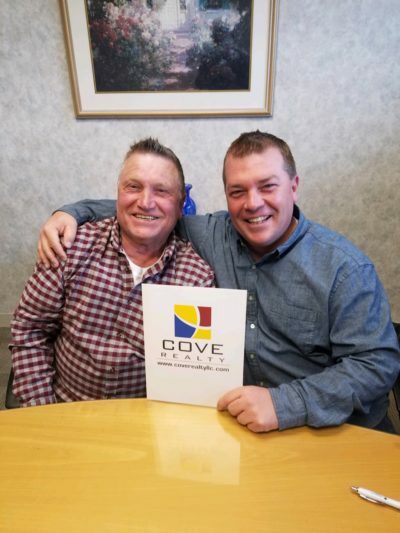 I cannot say enough great things about Mike Zacker and the staff at Cove Realty. Mike was extremely knowledgeable and professional assisting me with the sale of my property. He made me feel that even though it wasn’t the largest sale, I was still important. Mike was always available to me when I had questions, and made the transaction completely smooth from the beginning right up until the day of closing. I would not hesitate at all to recommend Mike Zacker to anyone looking to sell a property! 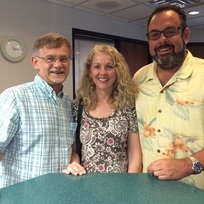 You can’t go wrong with Mike Zacker, Kimberly Boyle, and Cove Realty. My Husband and I would most definitely recommend Cove Realty, to anyone needing a realtor. Mike Zacker, goes out of his way to get the job done. We were selling our home, and relocating to New York State, and he got our home sold in about a month, with the least amount of stress. He is professional, honest, and a very down-to -Earth guy. He makes it easy to work with him, and has away of making you feel like you’ve known him for years. I would rate him 5 stars hands down. If you need a realtor…call Mike, you won’t be sorry. 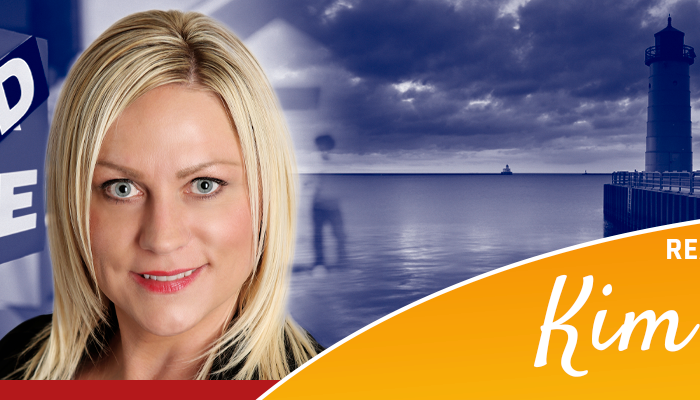 Cove Realty did a great job in helping me sell my Rental property. Mike was able to get me an offer within the first week of the house being on the market. He was very responsive to any call or text I had. He even worked great in scheduling showings with my tenant. 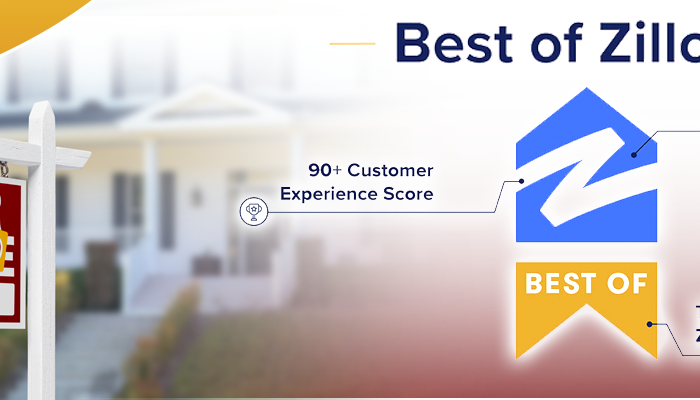 10/10 would recommend Cove Realty to anyone who is looking to buy or sell a property. 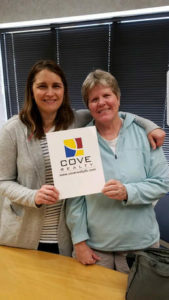 We knew we wanted to list our home May 1, 2017 so we did some online searches for Realty Companies in March and April and we liked what we read about Cove Realty. They had an awesome website that gave very helpful tips on preparing your home for sale. This was our first home and we lived there for 30 years. 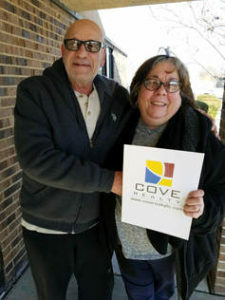 We worked on our home before emailing Cove Realty in April. Mike Zacker responded back a short time later by phone. When he came to the house, we could tell that he was someone we could do business with. He was friendly, knowledge, easy going and very easy to communicate with. He explained the whole process. He didn’t even mind all out texts and calls! He was prepared and our home was listed May 1,2017. We had numerous showings the first week! Jennifer and Mike Zacker at Cove did an excellent job with all the communicating and scheduling the showings. 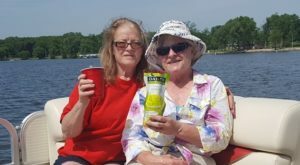 Our buyer was the first showing! Mike kept us calm in moments of uncertainty. We would use him again and will definitely refer him to anyone who wants to buy or sell. There is one thing though…he happens to be a Bear fan. All joking aside, he truly is the one to call. We briefly had our house on the market in 2016 with another broker and hated every minute of the entire house buying/selling process. In 2017, after interviewing 7 other realtors, Mike Zacker walked into our house and seemed to be the first honest, straight forward person we spoke to. He listened to what we wanted, gave us relevant perspective and delivered what he promised. Our listing photos were amazing. His write-up was fantastic. He was extremely confident that we would sell quickly. 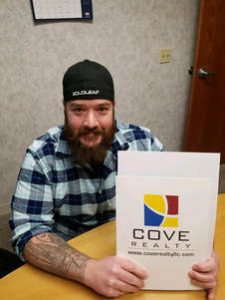 We would first like to thank Mike and the entire Cove Realty staff for everything that they did to help us purchase our new home and sell our old home. We initially started with a different realtor but because of certain issues, we decided to try and sell our home by ourselves. 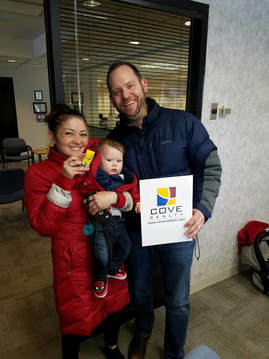 It didn’t take us long to realize that we needed a real professional to sell our home, so we contacted Mike at Cove Realty and he delivered. Mike put in the time and effort to sell our home from contracting with a video company to make a video of our home complete with a drone flying over our property taking pictures to numerous open houses and social media posts. Mike negotiated a very acceptable offer for both the property we bought and the property we sold. We couldn’t be happier with the final outcome. We would highly recommend Mike to anyone looking for a professional real estate agent to represent their interests. 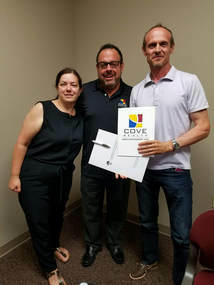 Again thanks to Mike Zacker and his staff at Cove Realty. 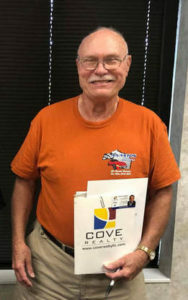 I cannot say enough about how pleasurable my experience was in dealing with Mike Zacker and his Cove Realty staff. Mike properly assessed the selling value of my home and right from the start, there were potential buyers coming through in droves. My house sold rather quickly and the entire experience was totally painless. Mike was accessible throughout the entire process and at no time did I feel as if I wasn’t a priority to him. 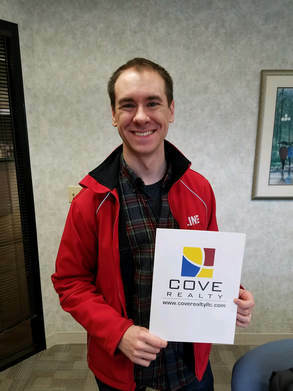 I highly recommend Mike Zacker and Cove Realty. 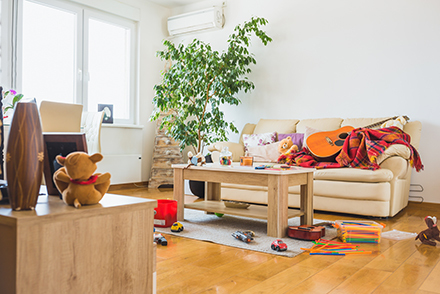 Selling a home can be a bit stressful, emotional, and sometimes even nerve racking! That’s why it is important to choose your realtor carefully. When we decided to sell our home, our neighbor, who has been a mortgage lender for many years recommended Mike Zacker at Cove Realty. We are happy we took his advice! Mike is honest, personable and down to earth. He knows the business of real estate very well. We invited Mike to our home several months before we put it on the market. He clearly explained the process of selling a house and gave us suggestions of things we could do in advance to get ready. 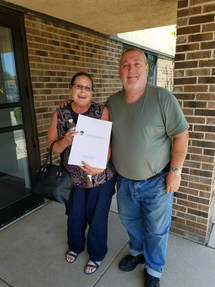 In the following months prior to and after listing our home, we found Mike to be open and responsive to any questions we had (and believe me we had lots of questions). Once we were ready, he went over a timeline of events and explained what to expect during the process. We were impressed with Mike’s attention to details, his integrity, and the photos he took for the MLS listing. Within a week we got a full price offer on our home! 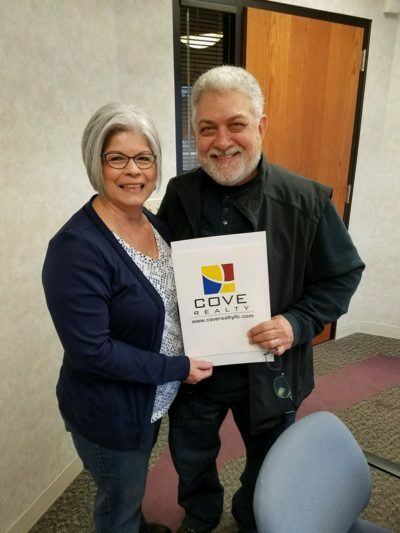 The closing went smoothly and overall we were very pleased with our experience in working with Mike Zacker and Cove Realty. Hard-working, diligent, and positive are the three words we would use to describe Mike Zacker and the staff at Cove Realty! 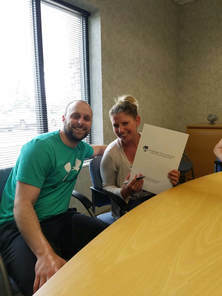 In only 5 days, Mike found a buyer for us who was willing to buy our home at 98% of our asking price! 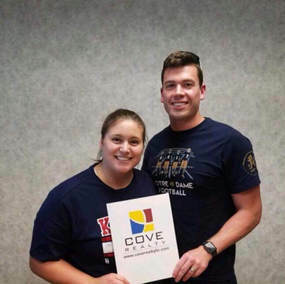 With Cove’s Standard Commission Rate, Mike Zacker saved us an incredible $8,050! We couldn’t have asked for a better outcome! 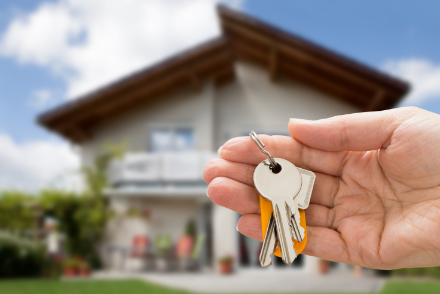 If ever the opportunity arises, we would definitely use the services of Cove Realty in the future! 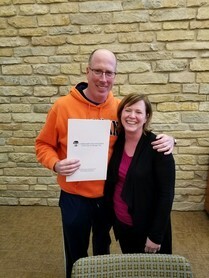 ​Our experience with Mike Zacker was simply outstanding. 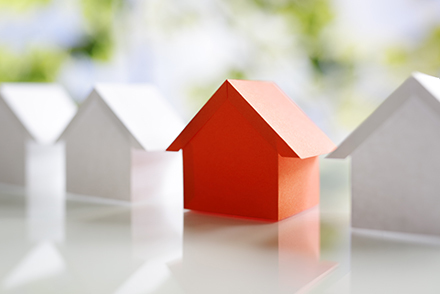 We were looking to downsize to a smaller home in a very limited geographical area in a market where homes in the price range we wanted were selling instantly. Mike worked with us on a very personal basis and helped with every detail of selling our home and the purchase of a new one. 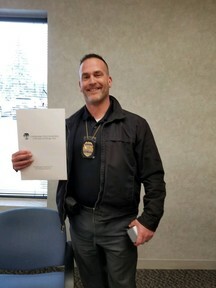 Mike went above and beyond to make sure all of our questions and apprehensions were addressed at pretty much any hour of the day and closed both deals without missing a beat! He even made friends with our dog…who doesn’t trust anyone! We couldn’t be happier with our experience with Mike! There’s a warm appreciation of thanks to you for helping us with the sale of our mom’s house. We also thank you for your honesty and being with us at the closing. Our sincere thanks to you.